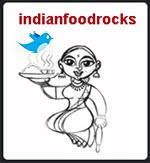 Indian Food Rocks: Ganpati Bappa Morya! Toast shredded coconut in a medium saucepan or cast iron skillet on low, until pale golden in color with light brown bits. Keep stirring and ensure that it does not burn. While the coconut is toasting, melt 1/2 teaspoon ghee over medium-low heat and roast semolina for about 5-7 minutes. Turn off the heat. Seed the green cardamom, discard the outer pod, and pound to a coarse powder using your mortar pestle or in your spice grinder. Add to semolina. 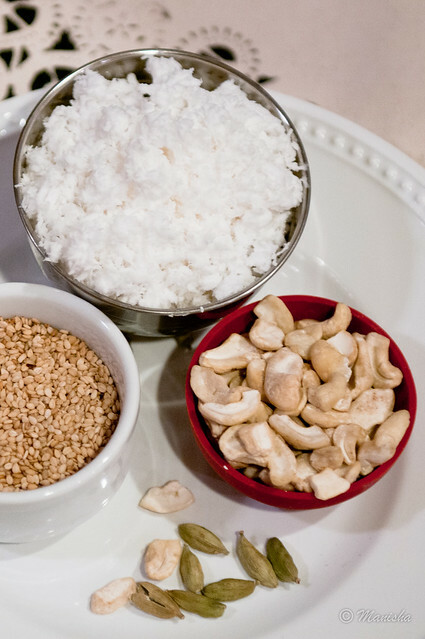 Add toasted sesame seeds and chopped cashew pieces to the semolina. Add toasted coconut, too. Mix well. Combine 1 cup water and 1 cup sugar in a small pot and boil until the syrup reaches a single thread consistency. To test this, take a spoonful of the syrup and allow it to cool. Once you can touch it without burning yourself, the liquid syrup should form a thread when pinched between two fingers. 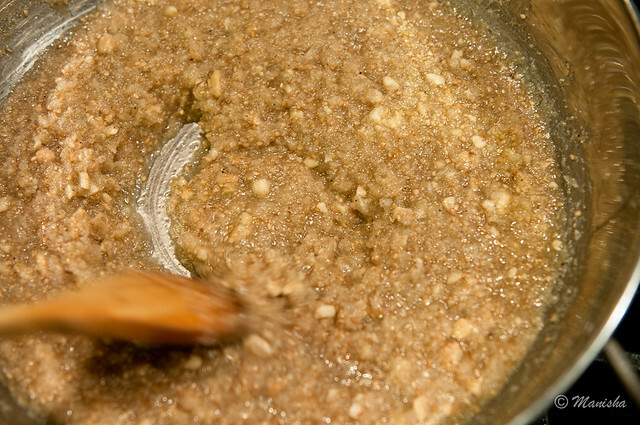 Add this sugar syrup to the semolina mixture, stir and cook for about 5 minutes, stirring frequently. Allow to cool. This mixture will harden as it cools. This mixture can be stored in a non-reactive container in the refrigerator for up to a week. Morya re Bappa Morya re! Ganpati Bappa, Morya! Mangal Murti, Morya! 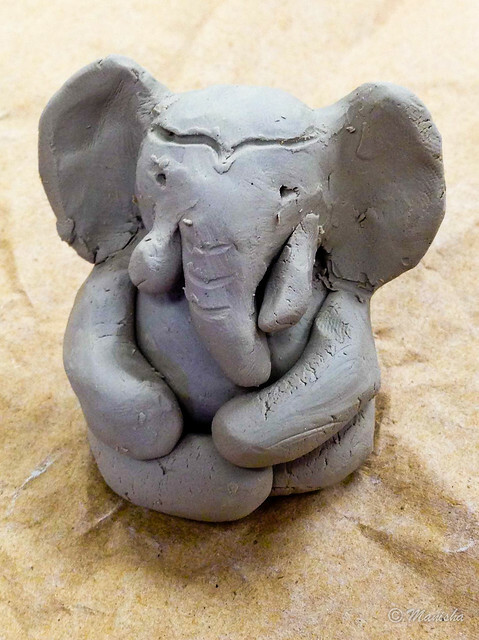 Happy Ganesh Chaturthi to you too Manisha! I have never tasted coconut in semolina (almost like a kesari with coconut?) but looks delicious. Mangal Murti Morya! Enjoy the season! This prasad looks lovely. It is hectic here as well - this time I didn't have the energy to make prasad even on Janmashtami (though the rest of the fasting foods were cooked). Have not been able to make it to the Mandal functions either - but I plan to be there for the Mahaprasad! hope all's well in your part of colorado, dear manisha. have been thinking about you, D and medha. Manisha, Hope you and family are doing alright.